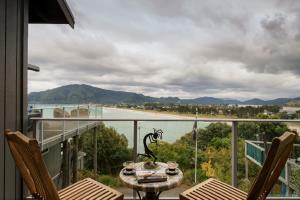 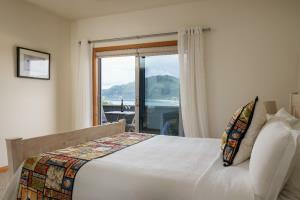 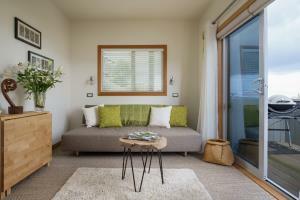 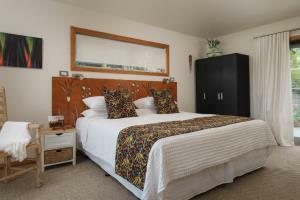 Paku Palms boutique one bedroom apartment features contemporary furnishings, kitchenette, bathroom, lounge and a private deck with expansive panoramic sea views. 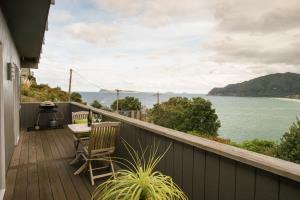 Soak and relax let all the stress melt away in the Balinese Private Hot Tub, with the most stunning sea views over the Coromandel Peninsula. 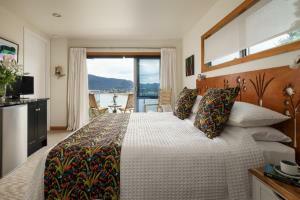 The Paku Palms boutique bed & breakfast Tui Suite is located upstairs and features contemporary furnishings, en suite and a private deck with expansive panoramic sea and coastal views.